Diamond ring saws are an extremely effective concrete cutting tool widely used by contractors to make small openings into walls for windows, doorways, lifts or ventilation. They are also commonly used to enlarge existing openings, when accuracy and depth of the cuts are primary requirements. Diamond ring saws can make more precise and deeper cuts than other hand saws. These saws are handheld diamond cutting system that runs on hydraulic power. They are particularly useful when the job site isn’t easily accessible to traditional road saws or confined space seems to be a major concern. Due to its compact design, these handheld ring saws can reach out any difficult to access area of the worksite. There are a plenty of benefits of choosing diamond ring sawing tools over conventional hand saws. But many contractors are surprisingly ignorant about the host of advantages and applications of these tools. These tools are highly versatile, flexible and they can be of great use for many building projects. You are guaranteed to have precise and clean cuts. Diamond ring saws are a best choice to make sharp cuts in large blocks of concrete, brickwork, stone and any other construction material. They can cut through even hardest of material. The ring saws aren’t just compact in size but they are also lightweight, and thus it becomes easy for an operator to carry it to any place with less hassle. They are versatile equipment. Think of any cutting project, whether it is indoor or outdoor, and regardless of the type of material used in the structure that need to be cut, ring saws can do the job well. Unlike those petrol based hand saws, the hydraulic powered diamond ring saws perform fume-free and noise-free concrete cutting, which make them more appropriate choice for indoor cutting projects. They can achieve depth of 275mm or more. Cutting those thick skin brick walls isn’t much challenging job with diamond ring saws. Water is used in diamond ring sawing operation to prevent the blade from overheating as well as to control dust production to ensure clean cuts every time. Diamond ring sawing is one of the most effective and economic methods to cut small to medium size openings in structures. You get flawless cuts with no reinstatement work needed. Sounds great? But this isn’t any DIY job. Your success depends on selecting the right diamond ring sawing specialist for the job. 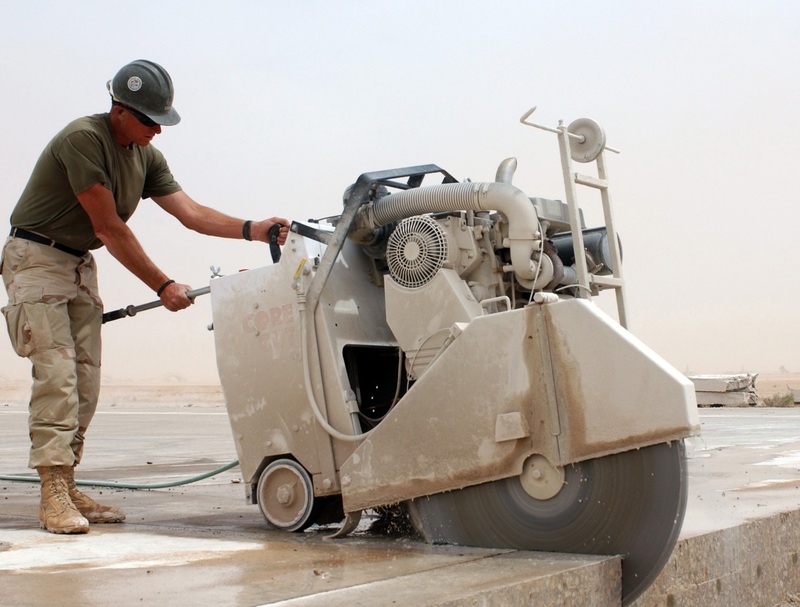 If you want quality workmanship and intend to finish concrete cutting job within estimated timeframe, it is important to hire a right contractor with ample experience and expertise in the niche. Search the web for some of the most trusted diamond ring sawing service providers in the country. Check their industry expertise, reviews and market reputation. Compare quotes from different contractors while considering their quality of work and timeliness in previous projects. Make sure the contractor you choose adhere to the best of health and safety guidelines during the concrete cutting operation. Check if they have skilled and trained workforce. And most importantly, are they a licensed business? Don’t hesitate to get in touch with the contractors you have shortlisted to get more idea about their services and workmanship. The more research you do, the more you learn about them. And this will help you choose a best diamond ring sawing company in your city.